“The easiest and most intuitive web automation software in the market”. Try it for yourself, and see why our customers are raving about it! This is not just a great web automation software but also a great auto poster for many great classified sites like Craigslist . It’s a powerful lead generator for the savvy marketer. Automating your workflow not only means more time but also more money. Could you use a personal assistant? Can you really afford to keep working the same way you have been? iChameleon can help you increase productivity by 10 - 100 times, eliminating burdensome tasks that drains 50% or more of your time and your team. Automate virtually any online task with ease. 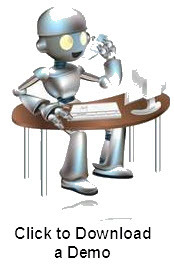 With all the powerful tools such as proxy changer, automatic CAPTCHA entry, cookie clearing and auto form filling you can bet you have a web automation software that’s working for you 24/7. How does free advertising sounds to you? iChameleon can help you generate leads and maximize your efforts from free advertising sources. Create custom solutions that can help you utilize a lot of great free marketing resources on the web. This is more than just a web automation software, auto form filler or an auto poster. It’s your new personal assistant.